One of Wallace-Wells’s observations is that more than half of carbon emissions from burning fossil fuels in human history have been produced in the last 30 years. It’s a fact which stopped me in my tracks. It means that since the United Nations first established its climate change framework in 1992, we’ve done more damage than in all the preceding millennia. Thankfully more and more people — including young people who have inspired so many with their school strikes to call on governmental action to avoid climate catastrophe — are waking up to the frightening reality that the “profit before all else” approach of capitalism poses. Radical action is essential. We are the last generation that is able to prevent runaway climate change. So this must be our moral crusade. The costs of inaction are frightening. 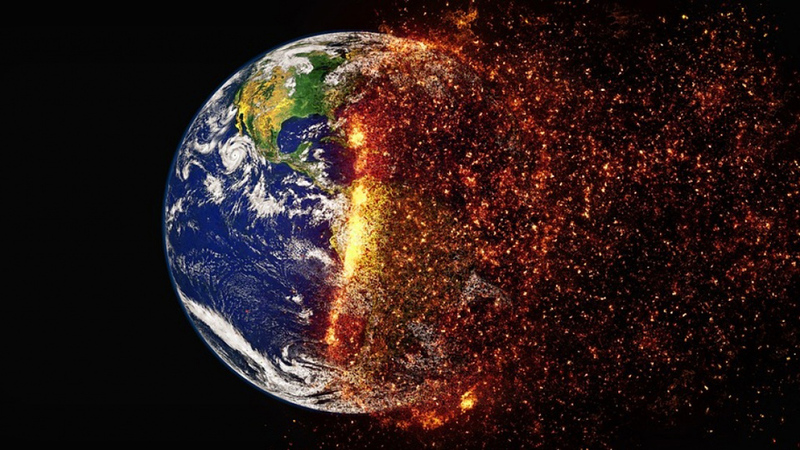 The UN’s climate panel warns that limiting global warming to 1.5°C could reduce the number of people both exposed to climate-related risks and susceptible to poverty by up to several hundred million by 2050. So, given this emergency, it is encouraging that political leaders are emerging who accurately analyze the causes of climate catastrophe, who understand the severity of the situation and who are demanding action of the magnitude required. She has also underlined how climate catastrophe is a social justice and class issue and not the “elitist” issue that the actual elites have attempted to portray it as in an attempt to persuade the working-class majority that it does not have a stake or an interest in this most important of issues. That is why Ocasio-Cortez’s plan for a Green New Deal explicitly links environmental and social justice. Its progressive solutions focus on investing in skilled jobs, public and community ownership; and universal healthcare and housing are both rolled into the plan. With this inspiring policy sparking an upsurge in enthusiasm for the left in US politics, Tony Blair this week sought to dampen it. Ever increasingly wedded to big capital interests since his retirement from elected political involvement, he expressed skepticism about Ocasio-Cortez’s approach to tackling climate change, referring to it as “the politics of protest” rather than “the politics of government” and raising concern that “market mechanisms” are not seen as the way forward. It is why, in contrast, under Jeremy Corbyn’s leadership, Labour has recognized the nature and scale of the challenge that capitalism’s climate catastrophe poses to our society and to humanity. Long Bailey has outlined an ambitious program for wind power, solar power and retrofitting to combat climate change but also create 400,000 skilled green jobs, committing the UK to zero net emissions by 2050, placing a ban on fracking and creating new laws to clean our country’s polluted air. 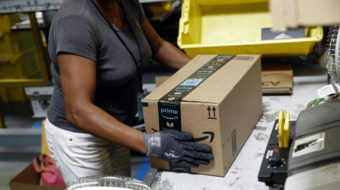 Long Bailey has also emphasized that this is an issue that affects working-class communities and that the solutions need to be linked to questions of economic and social justice. 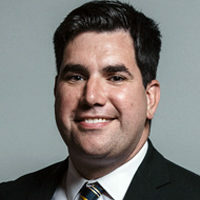 Richard Burgon MP is British Labour Party politician and the Member of Parliament for Leeds East, in the northern English county of Yorkshire. He is the shadow (opposition party) secretary of state for justice and shadow (opposition party) lord chancellor.